The passing of Stan Lee is on my mind. The man who made anyone who read his comics a better person is no more. Strange the way things go, but so many people take their guiding principles in life from the character created by Mr Lee. It’s official, Stan Lee’s death is all my fault. Earlier in the day I was watching David Bowie on YouTube. This made me think it had been a while since one of my cultural icons had died. Really, I should never, ever, ever…Ever! tempt fate like that. When it came to comic reading in my early life, my experiences were limited. The works of Stan Lee were not really my thing. My heroes were from Star Wars and my comic of choice was Star Wars Weekly. I might look at Judge Dread but it was Star Wars and not the superheroes of Stan Lee that caught my attention. If I did go for a superhero comic it would be Batman. Choices change. As I got older and started to look for more nuanced characters I found that Stand Lee and his cast of characters were much more intriguing. Things were muddier for them. They had real world problems to deal with. My mantra, as you would have it, became “do the right thing”. 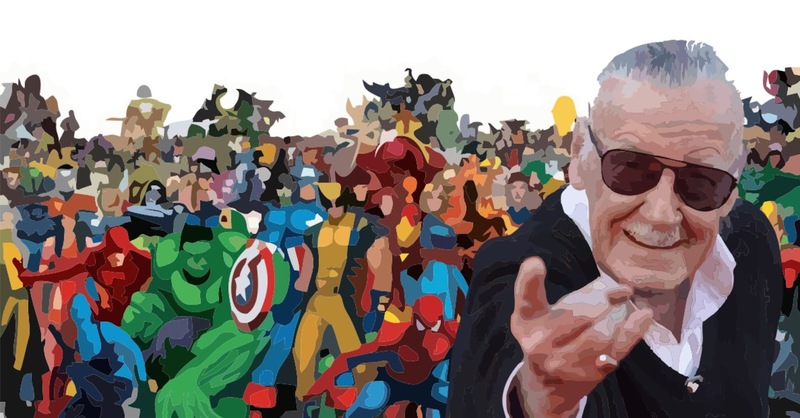 In my world and the world of Stan Lee, doing the right thing is seldom easy. For a long time I have nailed my colours to those of “Team Cap”. Even though this might have cost me dearly, I have come to believe that the right thing is the right thing even when it has cost me. I like to think that you would be happy with me. Previous Post: Going to a Gig.